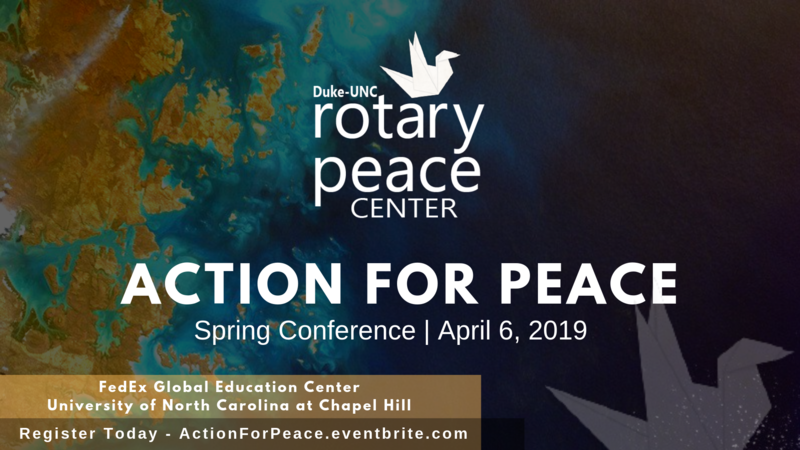 Please join us on April 6th, 2019 for the 16th Annual Rotary Spring Conference! The theme this year is "Action for Peace". Class XVI Rotary Peace Fellows will be presenting their research, sharing examples of hope, peace-making and positive change from every corner of the earth.